A couple of years ago I built the bare frame of a Keil Kraft Competitor. Earlier this year I covered the model with Litespan. Eventually a short break in the windy weather meant that we could fly it. Now that was the first time for 70 years that I had flown rubber power, so experience was not a strong point. We had several short flights on the less than perfect field. On returning to the car I found that a strand of rubber had broken. At home I set about trying to find suitable rubber but the worry that it could break and damage the fus had me thinking about alternatives. An exchange of e-mails with a good friend pointed me toward electric power. I liked the idea of being able to control the power and time to suit the flying space. The conversion started by sanding out the front former to accept the outside diameter of the motor with a running clearance. A 1/32" Plywood "Firewall" was shaped to the outside shape of the fus. The centre lines, vertical and horizontal, were drawn and holes for shaft and fixing screws for the motor were drilled. Now my experience with electric powered models is that down thrust is usually needed. To that end I put dowels through the fus to anchor elastic bands which are tensioned over the Firewall. A short dowel top and bottom through the Firewall into the front former retains everything in line. These dowels have to be long enough to allow the Firewall to be packed out to allow side and or down thrust. 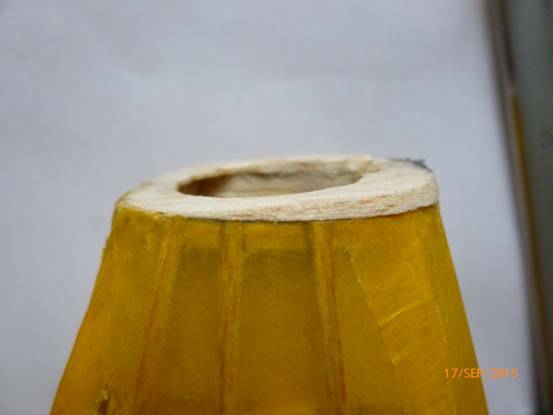 Once flight trials have established what is needed a ring of Balsa stuck to the front former can be sanded to the required angles. All the temporary dowels can now be removed. You can see the list of components attached and Photographs will show how I organised the bits. 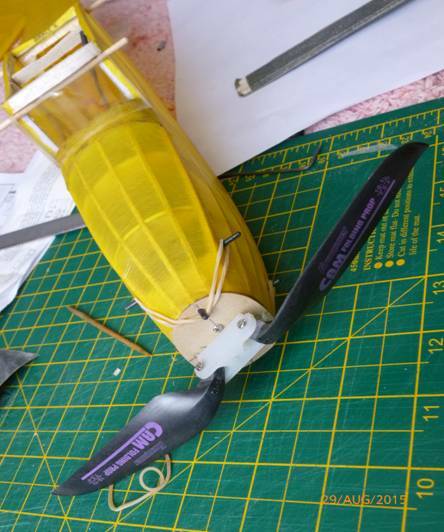 To save damage to the motor shaft I decided to use a folding prop. 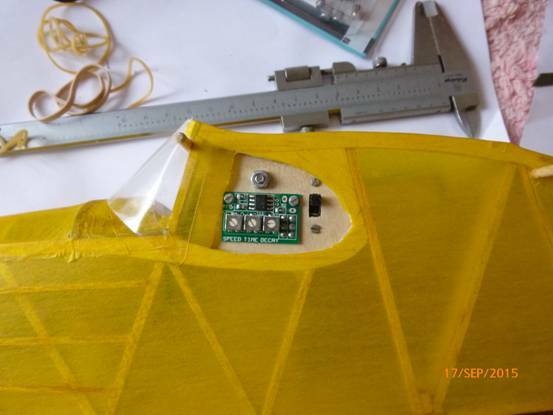 Our Flying field is only suitable for freeflight on near windless days so I did not try to minimise the weight of the installation. The electrified Competitor weighs 140 grams (5 ounces). The same weight as when Rubber powered. 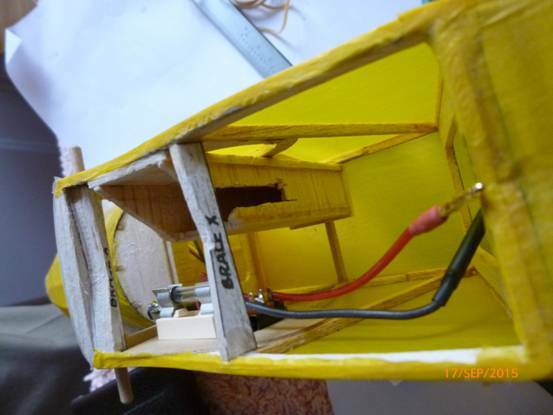 The battery box was positioned to get CG in the position shown on the plan. Motor 22mm Baby Outrunner C22-16-25 from RobotBirds. 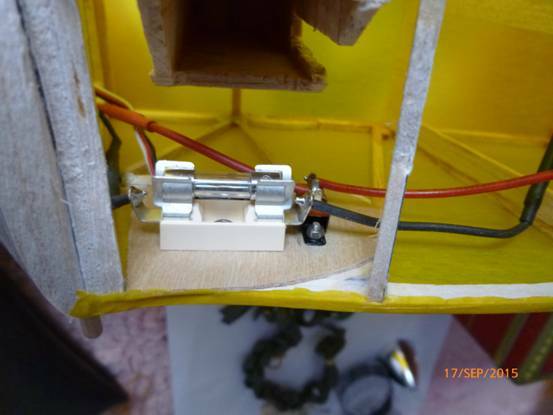 5 amp Quick Blow 20 mm fuses. You will need suitable sized connectors for the battery to ESC. I used 2mm Gold because I had them in stock. These are rather long and I am sure that smaller connectors would be suitable. My set up on the Competitor only takes 1.4 amps. The Power Train above is capable of delivering 6 amps (according to the specs) so would certainly power much heavier models. The above project was only achieved with much initial guidance from my good friend Ian Middlemiss who has completed many similar projects.